Our first Reptile forum profile led to a communication from a reptile forum we’d never heard of: Reptile-Community in Ireland. The owner of Reptile-Community was good enough to respond to Gecko Time’s questions. In addition, three forum members have shared their own experiences with Reptile-Community. 1. Tell us a little about your forum, whether or not you are its creator and how you came to be in your current role. I moved to Ireland 10 years ago, having to leave my beloved reptiles behind. I went out soon after to purchase a Madagascar giant day gecko. In the pet shop I heard the sale assistant advise someone that a flighty young iguana was a suitable starter pet for his nine year old child. I was disgusted at this advice. That evening I was looking up reptile advice on the internet and was shocked to find out that Ireland did not have a forum to bring together a community of like minded people to help others with their reptiles. Hence I started Reptile-Community. Nine years on I’m still the admin and we have a great child friendly forum where the whole reptile community helps one another. 2. What are you proudest about with your forum? Simple: everyone from the moderators to members. Each of them makes the Reptile-Community the success it is by helping and advising others with the tricky questions, and the simple newbie to the hobby questions. I’m proud of how the forum has brought a whole community of people each with the same interest together. Many of us have become personal friends over the time of forum. 3. What are some of the problems you encounter? Like any forum, spam is a huge problem. A lot of time, money and resources have been used on the forum to stop spam and make the forum enjoyable for everyone. Spam comes in many forms — from high tech spam bots to jealous people who just want to see any successful forum fail regardless of what the forum is about. We’ve seen members open their own forums in Ireland since we started, but our community continues to be so strong through the advice and help everyone gives each other. I’m pleased to say Reptile-Community is still very active and the only Irish reptile forum at this time. We have found that Facebook has become stronger and stronger, so to keep up with modern times we have a very busy page on there too. 4. What role do you feel your forum has for gecko keepers? We encourage and welcome all owners or want to-be owners of a reptile to join our forum. 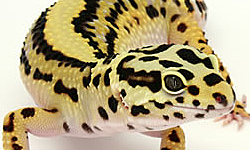 We have vast information on all species of gecko including a picture section. 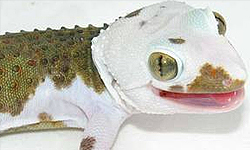 Many of the members are gecko keepers and breeders. Personally as admin I’ve had the pleasure of keeping geckos, breeding them and helping many of the reptile-community with various geckos. 5. Is there anything else you want readers to know about your forum. Yes, we many be an Irish-based forum, but we welcome anyone who wishes to join from anywhere in the world. For a small country we are a large forum, but the more members the more advice and help can be offered. We can all learn from one another regardless of experience. One final note I’d like to say that the forum is nothing without you, the members and the mods. Thank you for making reptile-community the family friendly reptile forum that it is today. Greg Fitzmaurice: I have been a member of Ireland’s Reptile Community forum for longer than I care to admit! It was the one and only place, all those years ago, that reptile keepers in Ireland could chat, find information and ”meet” people with a similar interest. It was, and still is, an invaluable source of knowledge and guidance, particularly for newcomers to the hobby, of which there seems to have been a surge in the last number of years in Ireland. Needless to say the majority of discussion centers on leopard geckos. There is a dedicated, ongoing thread, where members can discuss care, but also show off their animals. Crested geckos also have a a notable following in Ireland with regular threads focused here while there also seems to be a growing number of keepers interested in African fat tails. There are a smaller number of dedicated keepers of less common animals including the Phelsuma, Goniurosaurus and Geyhra spp. to name a few, and these are displayed regularly in the forums gallery. I have had the pleasure of knowing Mat personally, almost as long as I have known him on the forum, and he has dedicated countless hours of his time to maintain the vital resource that the forum is. He is quick to welcome every new member, so as to make everyone feel welcome and comfortable enough to engage in topics or come straight out and ask for help if and when needed. Mark Delaney: The Reptile Community forums have been a very exciting place to be over the last few months. I got into snake keeping in January 2014, and during my seven or so months here, I have learned some indispensable knowledge. Starting with a humble Corn, and working up to my current collection of a pair of Corns and a pair of Great Basin Gopher Snakes, I have taken great joy in the learning process which the Reptile Community has afforded me. Not to mention the fact that I’ve taken immense pleasure in sharing pictures and updates of my own snakes and seeing other members interact with my own threads. One thing that must be mentioned is the close-knit feel to the forum. The administrators are always about and willing to provide knowledge, advice, and most of all, a warm Irish welcome. Without fail, one is guaranteed to have a query acknowledged on the Reptile Community forum by at least one member. A great development recently within the forums has been the presence of a scout from The Reptile Report. It’s astounding to see members and their reptiles getting mentioned there, and witnessing how our forum now has a shout on a global level. Ireland has a mixed blessing, in that the community is small, which means there aren’t as many keepers, but also meaning there is so much fresh ground to be broken. 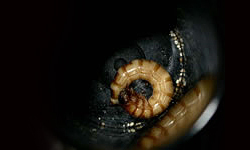 In my short tenure as a member, I have seen the first clutch of Saharan Uromastyx eggs to be hatched in Ireland, and one member even achieved a world first for a Banana-butter-pinstripe-spider Ball Python morph. I can only imagine what weird and wonderful things will pass through the forums over the coming years. It’s a great time to be a reptile keeper! Brian Coogan: I’ve been keeping reptiles for around sixteen years, snakes in particular, but since becoming a member of Reptile Community I’ve found myself able to comfortably expand to other reptiles purely because of the help , information and advise I’ve been able to get from being a member of the forum. As handy as it may be to get care sheets and information about reptiles online, there really is no substitute for getting advise and tips from those who currently keep or breed the reptile in question. The vast majority of members on reptile community are always willing to help members out which is what makes this such a great forum. Gecko Time is eager to hear from other forum owners and administrator so if you are a forum owner, or would like your favorite forum profiled, just drop us a line! Hi guys, I’m looking to see if there are any breeders or retailers here in Ireland that deliver geckos, as I have no transport at the moment. And if not, what would be required to bring one home by train?